I have just completed a new bag design with textured pineapple motifs. 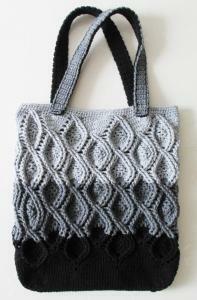 I used three different coloured yarn to create an ombre effect with black and greys. The handles are made of two layers of different coloured yarn and joined using slip stitches. The contrasting colours are shown on the top of the handles. What you do think? wow, stunning, I would be PROUD to carry that bag!! So lovely and you did a fine job. Thank you for sharing. VERY nice job you've done. 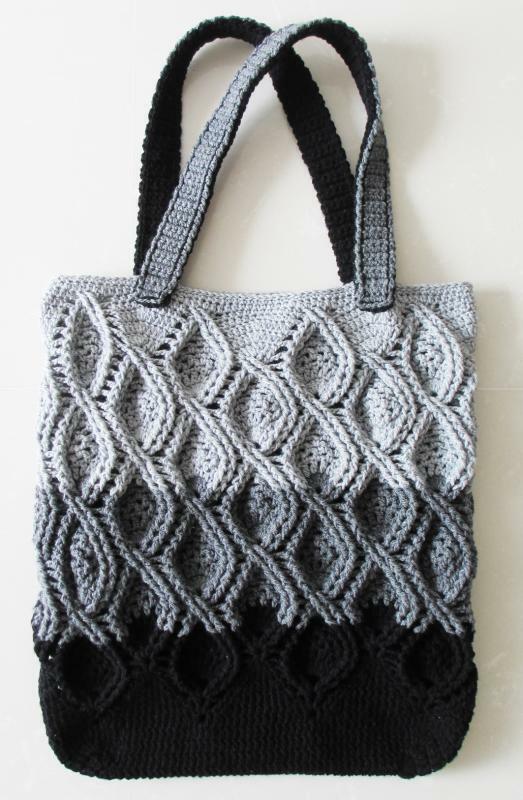 Super cool-looking bag and I love the color fade you incorporated into the project. Hi all, thanks for the positive comments for this design. I have finally put up the pattern in my pattern store on Etsy and Craftsy. Hi Melissa! Welcome to Crochetville! I see that you are interested in testing patterns. We get someone asking only once in a while. They'll post when they want testers. You just have to keep watching. In the meantime, you may want to remove your email. Trolls have programs that scan forums looking for email addresses. You can ask someone to send you a message. You'll get an email automatically. Also, you're posting on really old threads. A lot of members from older posts are no longer active.